A nice Choker necklace, consisting of several grey collars. 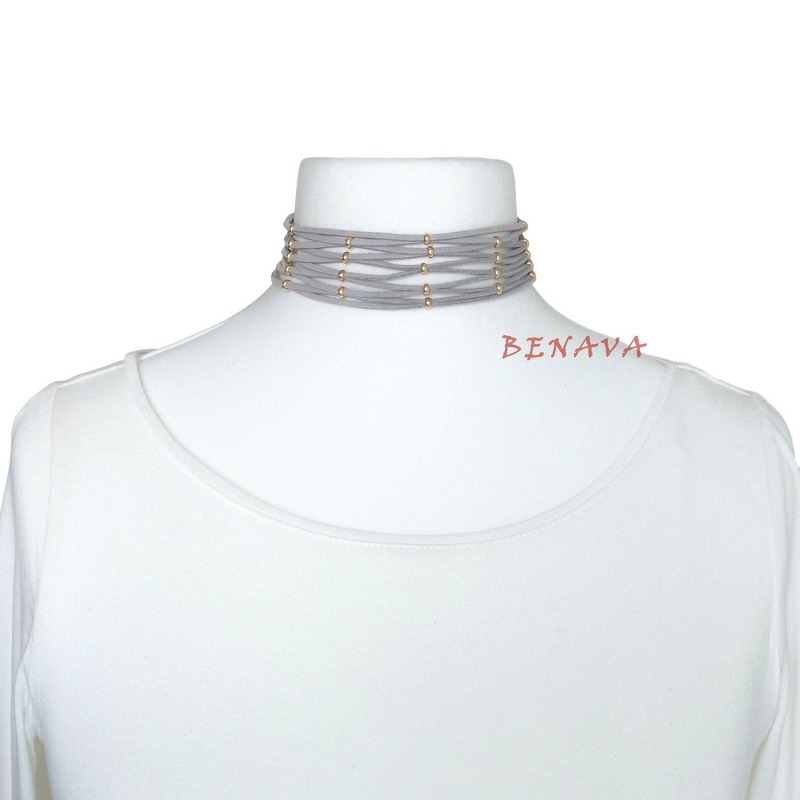 The Choker is adorned by small gold colored beads. The chain is adjustable in length, so a comfortable wearing is ensured.